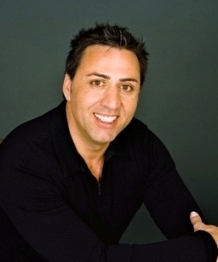 The Bridal Guide, has over 24 years experience and has a respected and glowing presence in the Canadian bridal industry. –Francie Govan, Owner Photo Graffiti. Weddings are about celebrating traditions and making new ones to share with your loved ones. For over 20 years, The Bridal Guide has been circulated in multiple family generations and been the Canadian source brides have selected as their number one source. Through our Wedding Directory, we present only quality services and vendors in Toronto who we know will create lasting memories for our couples for years to come. 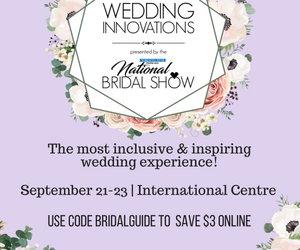 As a client, you know what when you advertise in The Bridal Guide, you’re joining a special community of trusted Canadian bridal service providers. New to this year’s directory is an enclosed beautifully, detailed wedding planner, which connects our brides to multiple vendors in a flip of a few pages, easing the stress of her searching elsewhere to fill specific categories. As a client you can appreciate that your advertising presence is extended and circulated when the bride carries her planning guide with her everywhere. We’re also pleased to present a newly designed website that hosts more clearly defined categories to help brides pinpoint their search for specific products and services and more accurately places advertisers into their respective categories. After two decades of customer loyalty, we’re happy to announce our circulation is increasing this year to approximately 15,000 copies circulated around Ontario. In addition, we are also expanding our presence at more wedding shows cross the GTA and beyond as well. Our newly redesigned print and web edition of The Bridal Guide are on top of today’s wedding trends and are in line with the busy lifestyles many of our brides have. We have a long-standing tradition and strong reputation in the wedding industry that has built multiple generations of customer loyalty. 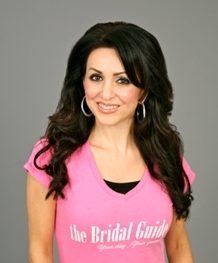 With such quality results and unsurpassed branding, there truly is no better place to be than in The Bride Guide.